Amber is a Senior at Colorado State University and is double majoring in Journalism and Business Marketing. 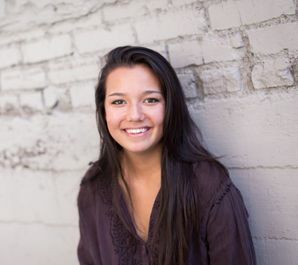 On campus, she currently writes articles for CSU Life and works on native ads for the Rocky Mountain Collegian. Amber is the Public Relations intern at Allyson Conklin Public Relations, where she works with beauty, home and lifestyle brands. After graduating, she hopes to pursue a career in the lifestyle PR, fashion, or entertainment industries. When she’s not involved with PRSSA, you can find her working (and shopping) at Nordstrom Rack, spending time with her family and dogs, or watching movies with her friends. ​Courtney is a sophomore at Colorado State University majoring in Journalism and Media Communications with a double minor in Spanish and Business Administration. She is from the northwest suburbs of Chicago, Illinois and will never pass up an opportunity to spend a day in the city. Currently, she works as an Event Programmer and RamEvents and is an Advertising Consultant for the Rocky Mountain Student Media Corporation. Courtney, while she loves her time in the city, loves spending time hiking, going to concerts and going on spontaneous adventures across Colorado with her friends. ​​​Sabrina is a senior at Colorado State University studying Journalism & Media Communications. Born and raised in Denver, Sabrina brought her love for the mountains and the environment into her studies, as she also has a minor in Global Environmental Sustainability. She is currently a student brand ambassador for Kaplan Test Prep, doing various promotions for local concerts, as well as serving up margaritas at the Rio Grande in Old Town. Aside from PRSSA, Sabrina loves to snowboard, hike, camp, kayak, fish...pretty much anything to do with the outdoors! After graduation she plans on joining the Peace Corps. ​​​​Makenna is a sophomore at Colorado State University double majoring in Journalism and Media Communication and Political Science with a double minor in philosophy and legal studies. She is from Kersey, Colorado and she loves spending her time outdoors. Makenna is interested in political public relations and has had internships with a Weld County judge and the Jared Polis campaign. After graduating, she plans on going to law school.